London: As FA Cup ties go they do not come any bigger than Arsenal against Manchester United and the two most successful clubs in the competition’s history kick off a weekend of fourth-round action at The Emirates on Friday. The record books are littered with epic clashes between the clubs with Ryan Giggs’s bare-chested celebration of a magnificent solo winner in the 1999 semi-final replay one of the abiding FA Cup memories. That clash came at a time when United and Arsenal were the dominant forces in English football as rival managers Alex Ferguson and Arsene Wenger battled for supremacy. Twenty years later the landscape has changed with both clubs having fallen down the Premier League pecking order and the FA Cup struggling to retain its magic. The spiteful edge that often accompanied their duels has also disappeared but Friday’s meeting in north London will need no hyping as 12-time winners United, rejuvenated under Ole Gunnar Solskjaer, seek an eighth successive victory since their former striker was put in temporary charge last month. 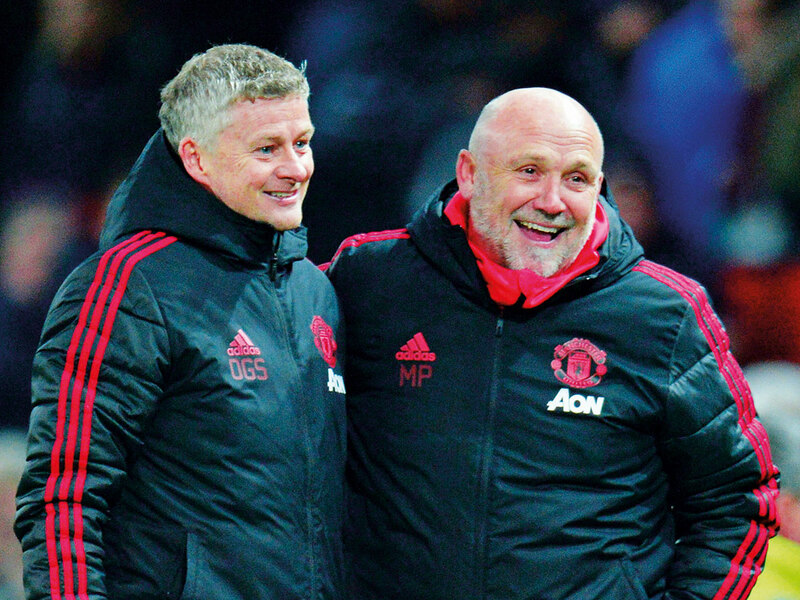 United’s burst of form under the Norwegian has pushed them back into contention for a top-four finish and they are in sixth place level on points with Arsenal and just three points behind fourth-placed Chelsea, the Cup holders. Arsenal top the list of FA Cup wins with 13 and, after some stumbles under new manager Unai Emery in the past month, returned to form with a convincing league win over visiting Chelsea last weekend. Their most recent triumph, in 2017, saw Alexis Sanchez score in the Wembley final against Chelsea, but the Chilean could well line up against the Gunners on Friday having swapped London for Manchester last January — a deal which saw Henrikh Mkhitaryan move in the opposite direction. Mkhitaryan will not be involved as he recovers from an injury while Arsenal are also without full back Hector Bellerin, who ruptured cruciate knee ligaments in Saturday’s win over Chelsea and is sidelined for the season. United will likely adopt the same attacking approach that has been a feature of Solskjaer’s unbeaten time in charge — so a dour stalemate is unlikely. Holders Chelsea host Sheffield Wednesday on Sunday, while Manchester City face Burnley in one of three all-Premier League clashes — the others being Newcastle United at home to Watford and injury-hit Tottenham Hotspur at Crystal Palace. While the outstanding tie of the round at The Emirates is first on the schedule, the weekend offers plenty of scope for the sort of shocks that were served up in the third round. Third-tier AFC Wimbledon host Premier League West Ham United in a London derby, second-tier Millwall welcome Everton and third-tier Shrewsbury Town are at home to top flight Wolverhampton Wanderers. Accrington Stanley’s home tie against Frank Lampard’s Derby County also looks enticing. The draw was not especially kind to the sides that injected some old-fashioned Cup romance into the previous round. Barnet, the sole survivors from outside the top four divisions after their win over Sheffield United, have a home tie against second-tier Brentford. Newport County, who knocked out Leicester City, visit Championship outfit Middlesbrough, while fellow fourth-tier side Oldham Athletic travel to Doncaster Rovers of the third-tier.